This is Kroger's Charitable Program that initiates a charitable corporate giving based on the dollar amount of your total purchases over three months. Click on the Kroger Logo to enroll (simply registering Lifehouse as your Non-Profit Organization tied to your Kroger Plus Card) and make your regular shopping a valuable part of the shared mission to better our community. 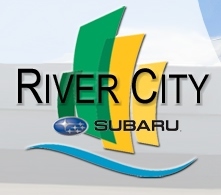 As part of Subaru's Love Promise, River City Subaru has partnered with The Lifehouse. This exemplifies their commitment to "being more than a Subaru retailer," by "being part of [our] community." but because it's the right thing to do."